They think this will ‘bring jobs’ to the area. Are they really that stupid? 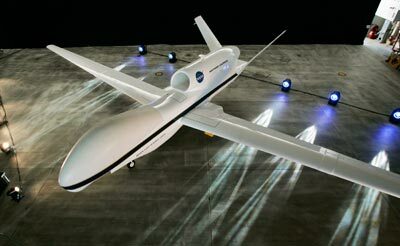 These drones will be manned at some un-named site in somewhere like Utah, not here. What jobs will they bring? They will be manufactured somewhere else as they already are. Embry-Riddle will not suddenly gain a large number of students and instructors as a result of this program. So what jobs will they bring? I particularly like the comment that states the county will use these to spy on citizens for un-permitted or non-zoned changes to properties. I think this in fact may be the only reason that it might ‘bring jobs’ because it’s too expensive to fly their plane around looking for code violations/un-permitted changes to private properties — if the drones are doing their work effectively, they can hire at least one, and maybe two new people to process the fines at the plans department. That’s about the only jobs it will create. At least initially. I can’t wait for someone to use the drone for target practice. And knowing my neighbors/community members, that is not by any means out of the question. Or, barring that, widespread purchase/implementation of anti-drone technologies like a hoodie that hides your heat signature or Domestic Drone Countermeasures, a company that manufactures software that prevents drones from capturing images. Stories like this make me wish for a zombie apocalypse. Because our current slow slide is going to be pretty crappy and dingy for a long time before it gets any better, if indeed it ever does.